Welcome, welcome if you're trickling in for Shorts on the Line today! Last year, I triple hosted with Rachael and Carla for the first year of this series, so you can find a whole archive of Shorts posts up on the top of the blog for ideas and reference. I love shorts in the summertime. My fav to be cool and comfy in SC heat, and I've always loved knot shorts. 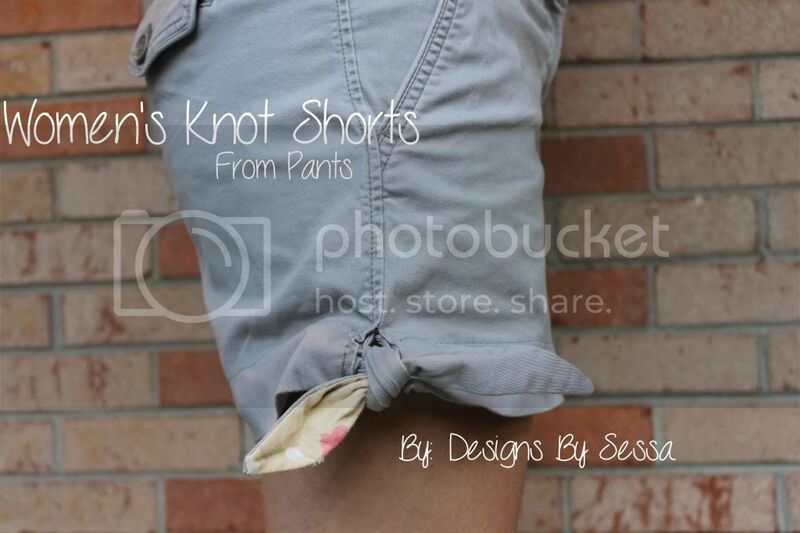 I decided why "knot" go for it for myself this year and make a pair? So I did. And I love 'em. I actually started with a pair of pants from the Limited, so don't be too impressed by these. I really only wacked them off and added the knots. I didn't construct the whole short from scratch! I'm all about upcycling. These pants fit me pretty baggy all the way down, wide leg style. I think this is necessary to make them into shorts, because you don't want them to be fitted and try to hem them. You will feel awkward in them! I liked that I could make them the length I wanted! You will need a pair of wide leg pants and some extra fabric for the ties. I used some of my Nani Iro. 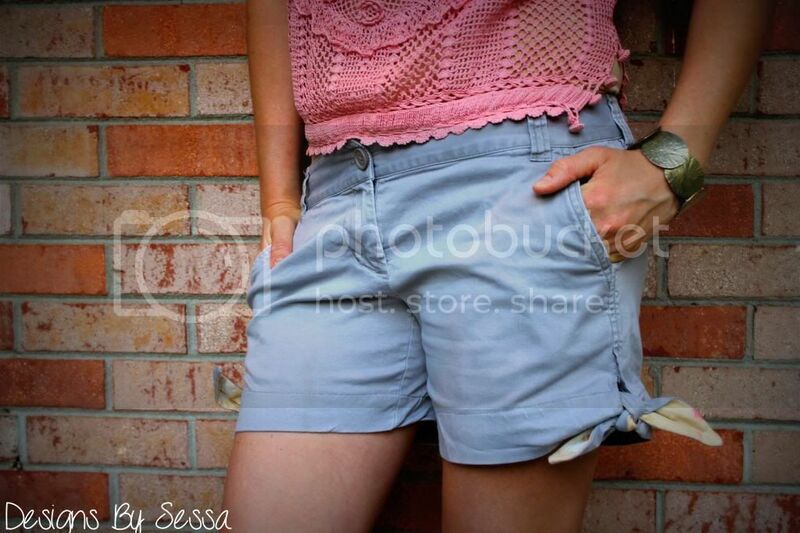 Using an existing pair of shorts that you love the length of, cut off several inches below your shorts. 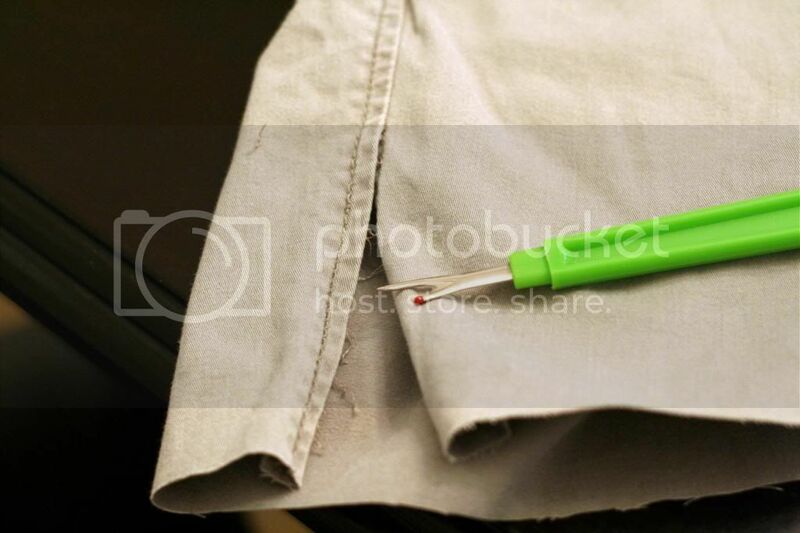 Open up the side seams with a seam ripper about 4 or 5''. Repeat for other side. I serged the bottom to keep my fabric from fraying, zig zag stitch otherwise. 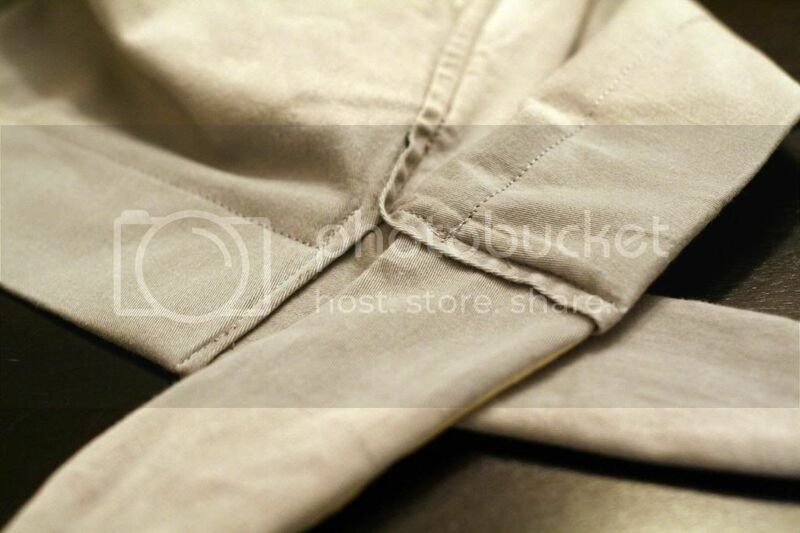 Or, wait til later on and fold 1/2'', then again 1/2'' to hem, after you've inserted your ties. I then, cut my ties from the excess pant leg material and my coordinating fabric. I just made one side pointy and made them about 7 - 8'' long total. You need them long enough to be able to tie. 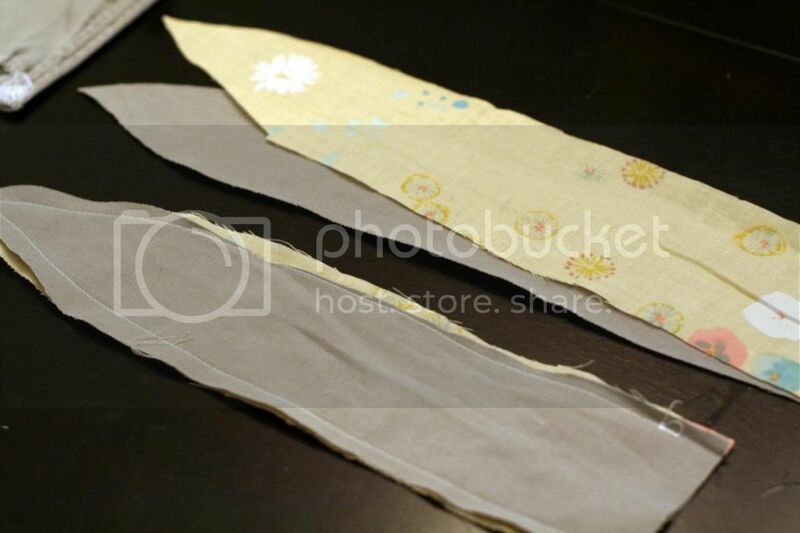 Put right sides together and sew, leaving the end open. Turn right side out. Repeat with other tie. 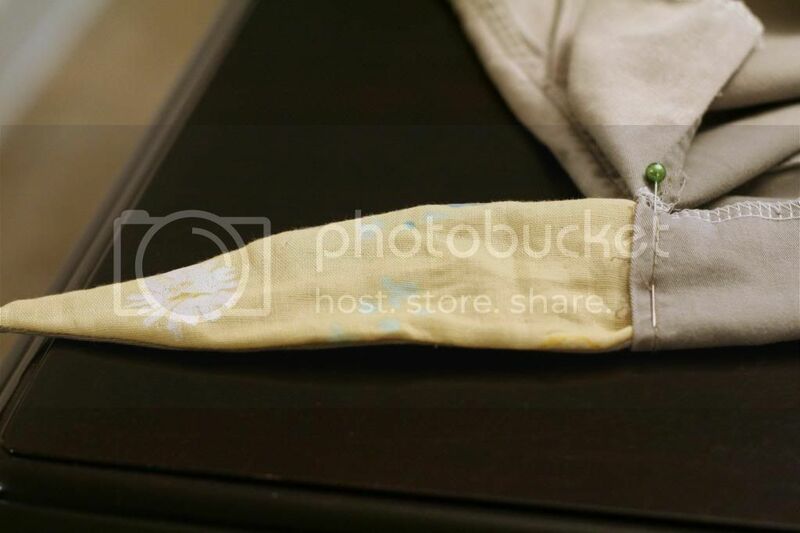 I then folded my hem and inserted the tie and pinned in place. Repeat for other ties. 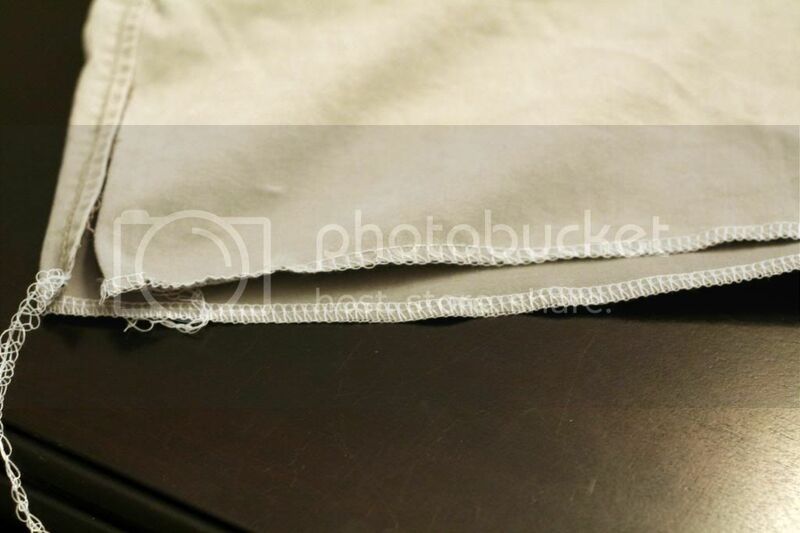 Sew a straight stitch down to secure your tie. Follow the original stitching if possible. Repeat with the other tie and hem your shorts around the bottom. And that's it! You're done! 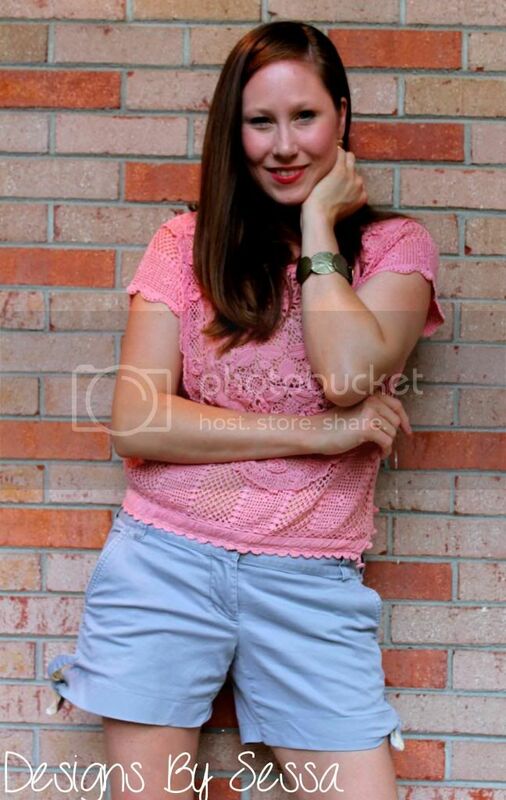 Normally, I don't wear crazy heels... but they are fun for photo shoots! Well, thanks for joining me on the blog today! I hope you enjoyed it! 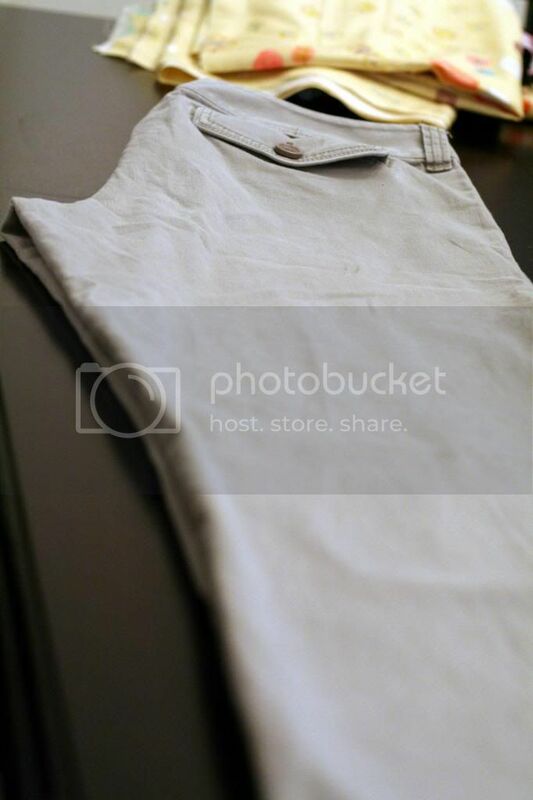 Pretty easy to transform some old pants in the closet to something updated for summer! Go grab a pair and sew! 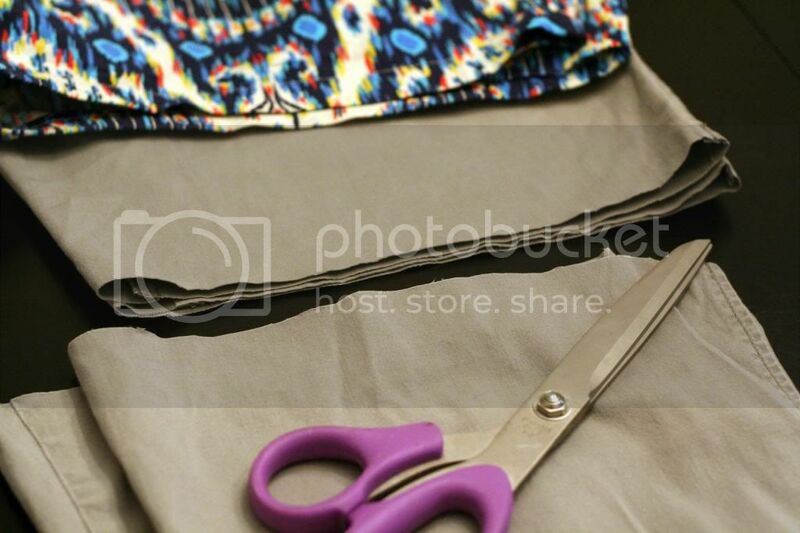 I'd love to hear what kind of shorts you're sewing this summer!? Leave a comment, letting me know what you're up to! Happy Summer! And be sure to check out the Shorts on the Line Flickr Pool and enter your shorts for chances to win prizes! Want more of me today? 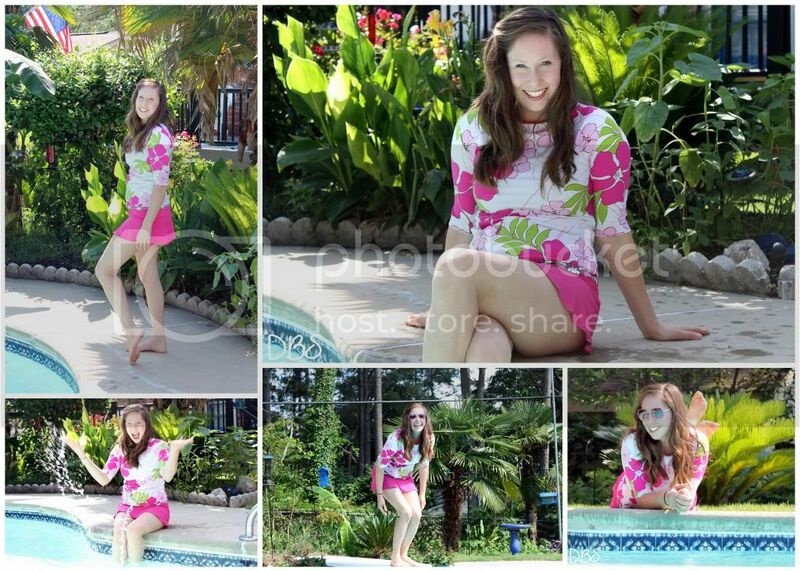 I'm posting at The Sewing Rabbit a tutorial for a Women's Rash Guard! Go check it out!